Genpact Company Career Jobs Opening 2018-2019 Various Associate/Senior Associate Job Posts Download Application at www.genpact.com Genpact Career Job has Recently Announced 2018 regarding Apprentice Trainee & Various Job Openings Interested and Eligible Candidates can Download Application Through Official website. 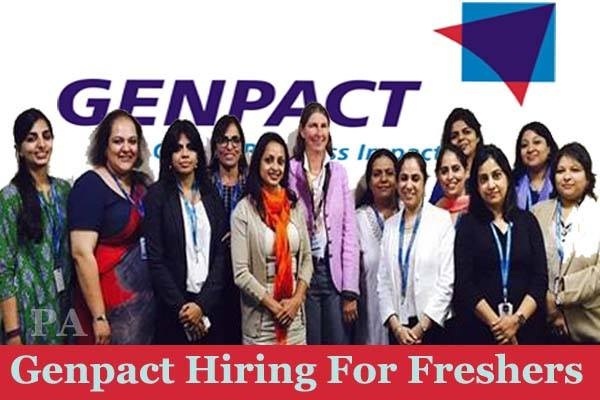 Genpact Urgent Walk-in Associate/Senior Associate @ Freshers - Apply Now. Comfortable to work for a voice process. Should be comfortable speaking Hindi. Candidate should have some basic troubleshooting knowledge. Respond to inbound/outbound customer queries over the phone. Need to carry two copies of resume with "HR DIVYANKA" on the resume, 1 passport size photograph, 1 id proof xerox copy.